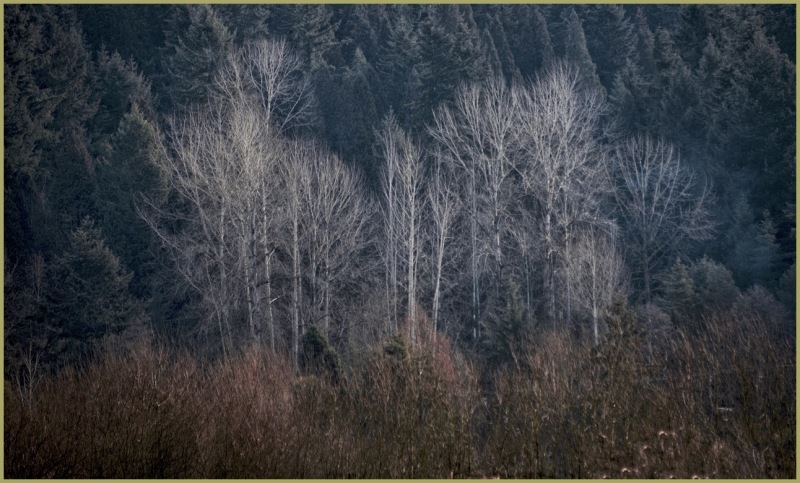 "Cant See the Forest for the Trees"
Denny Jump (Bellevue, WA, United States) on 11 February 2017 in Plant & Nature. In Winter, sometimes a wall of trees can be more attractive than in summer, thanks to the bare branches.....I was really impressed with this interesting view. I hope you like it. Agree that each season brings different attractions to the fore . . this is a particularly strong example. Excellent, sir! I, too, like the skeletal trees in winter, especially when they are surrounded by 'other hues' as is the case here! This is gorgeous! Great work which I love. I like the tonal separation between the three distinctive elements in this composition Dennis.